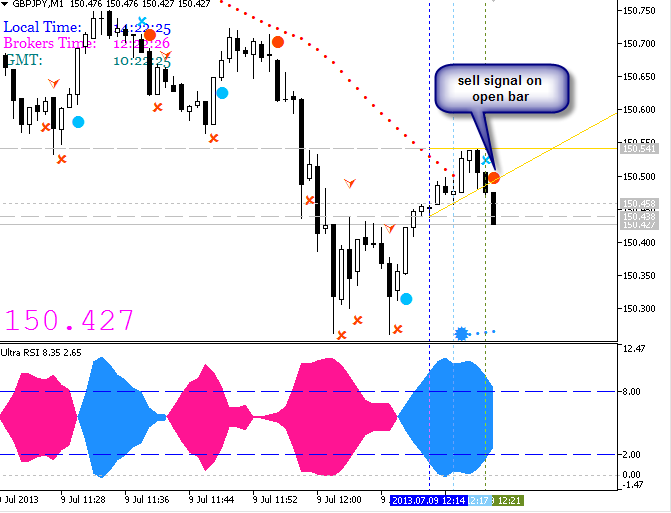 Do all included indicators in mt4 repaint? Just curious, Do all indicators that are already installed in mt4 repaint? Which one doesn't? repainting indicators = repainting the previous/close bars. continuing painting = repainting the open bar. All pre-installed indicators do not repaint (except zigzag, but zigzag is having the different logic). I did not find education trading articles about repainting and non-repainting. I think - you should look at the forum posts. - non-repainting. Most of the indicators are inside this category (most of the indicators are non-repainting). It means: if you see the signal so wait for the bar with the signal to be closed and new bar is opened. Traders are using non-repainting indicators to trade on close bar (classical way of trading for most of the traders). Some people confused 'non-repainting' with 'continuing painting'. For example, open bar is continuing paiting by itself together with value of any indicator. 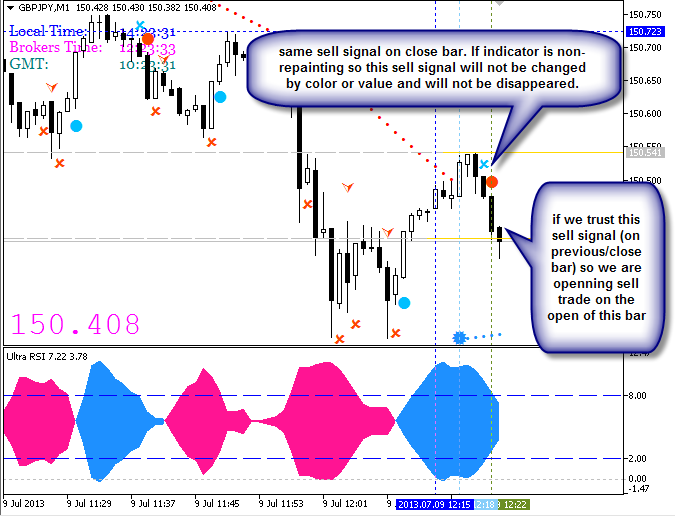 Close bar is not repainting by value together with non-repainting indicator. - repainting indicators. There are many of them which were created especially for some different cases. Zigzag for example. Some of those indicators are used as the filters to filter false 'non-repainting signals' from the other indicators. - re-calculating indicators. The values of those indicators are recalculated for n number of the bars. Indicators can be used a the filters or for technical analysis (not for direct trading). - repainting by mistake made by coders. There are many examples of the indicators coded by coders in repainting way as the mistake (such as super signals etc). So, this is classical way of trading - trading on close bar.